I've been busy lately. So sorry! But here it is guys, a new makeup look that I've made few days ago. It is inspired by Pop Art, the famous art / drawing in 1950s, with a very bold and bright colours, and also they had this small dots all over. 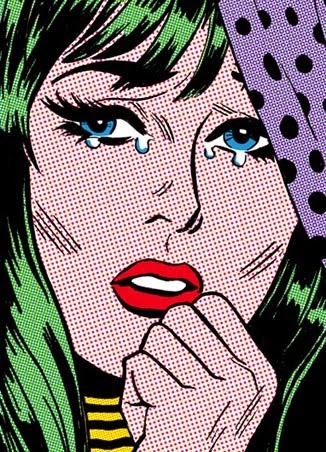 example of Pop Art. Picture credit to Google. Below are my pictures, in Pop Art version. *Tehee! Funny, yeah I know! haha.